While working on Voyager many people often ask how to interact with data on the front-end. This question usually comes up because many people think that Voyager is a CMS, and when they realize it's not they are wondering how to show the data on the front-end. 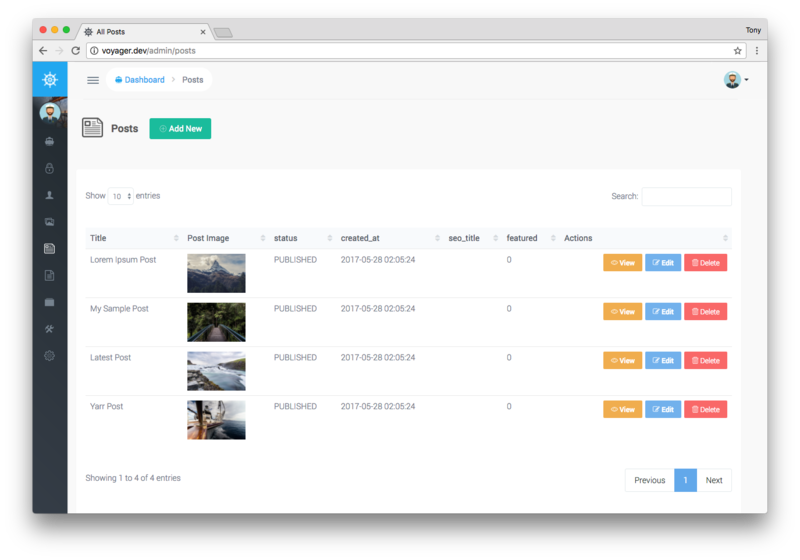 In reality you can display the data as if it was any normal Laravel App. Remember Voyager is just the admin; and however you want the front-end of your app to function is completely up to you. So, in this tutorial. I thought I would show you how you can display the dummy data that gets installed with Voyager on the front-end of your site. Let's start off from the very beginning and walk through the installation (These instructions can also be found in the Voyager Docs). 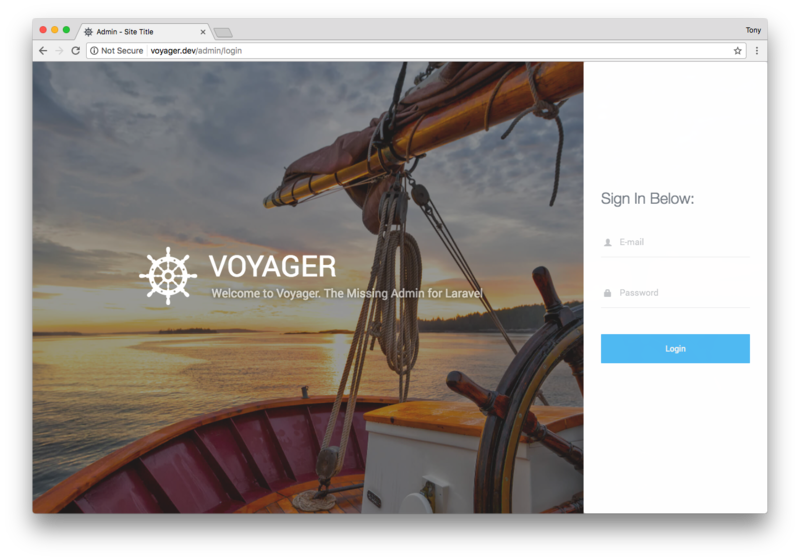 Before installing Voyager we'll need to create a new Laravel app. Make sure to include the --with-dummy flag to the end of the command so that we have dummy data installed with our application. And Viola! We now have Voyager Installed. If we now visit our APP_URL in the browser with /admin attached we will see our admin login in front of us. We can now login using the default credentials [email protected] / password. Then when we are logged in you will see the admin menu to the left, click on the posts menu item and you will see the following screen in front of you. 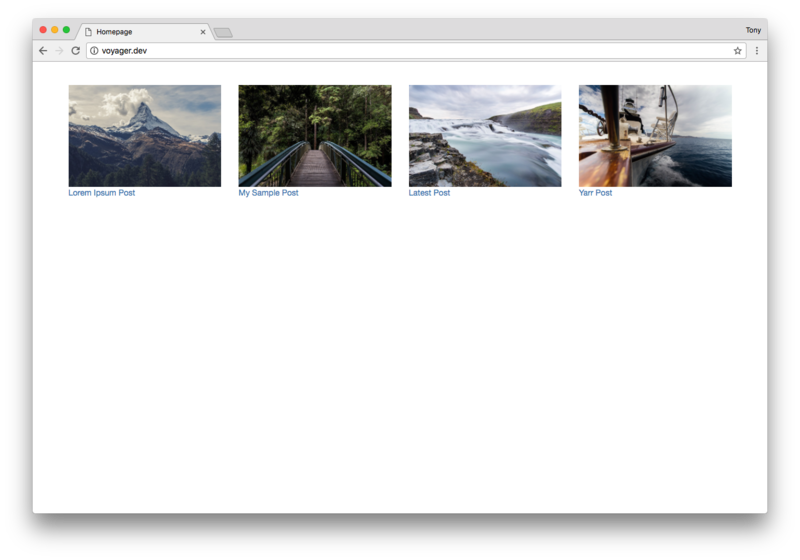 As you can see we have a few default posts available in your database. We are going to use these dummy posts to display them on the front-end. Now, if we tried clicking on one of those links we are not going to see the post and this is because we need to create our posts page. Let's do that next. 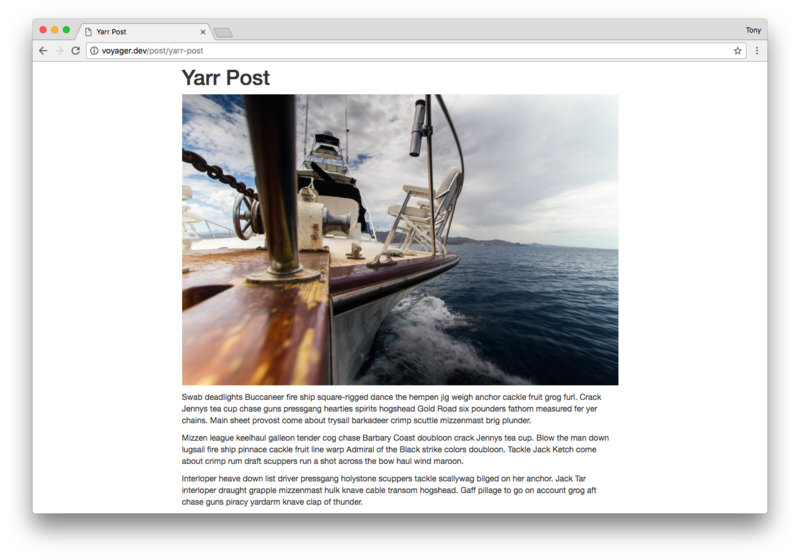 That's how simple it is to display data or posts on the front-end of your app. Couldn't be simpler, right? If you have any questions be sure to visit the Forums. Thanks and happy Voyaging!